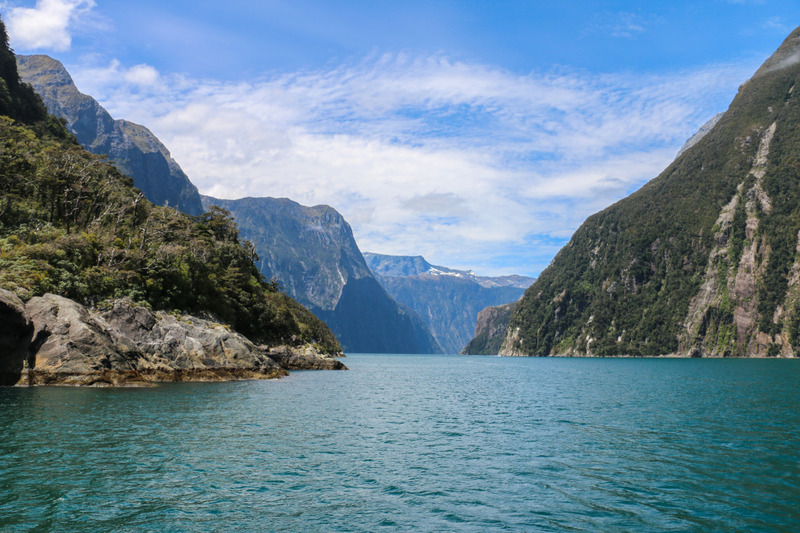 Cruising Milford Sound is one the most awe-inspiring things to do in New Zealand, and we couldn’t miss it. Because of that we opted for a very insightful cruise that included kayaking and the Milford discovery center & underwater observatory, so we could enjoy a full day there. Milford Sound is actually a fjord which is part of the Fiordland National Park and is a World Heritage site. 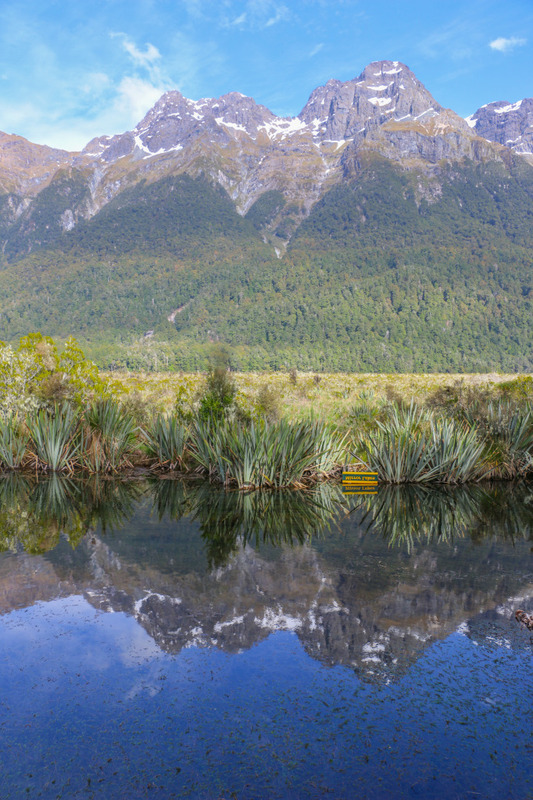 This area is one of the most remote in New Zealand and at the same time provides stunning scenery and landscapes. Not to be missed. 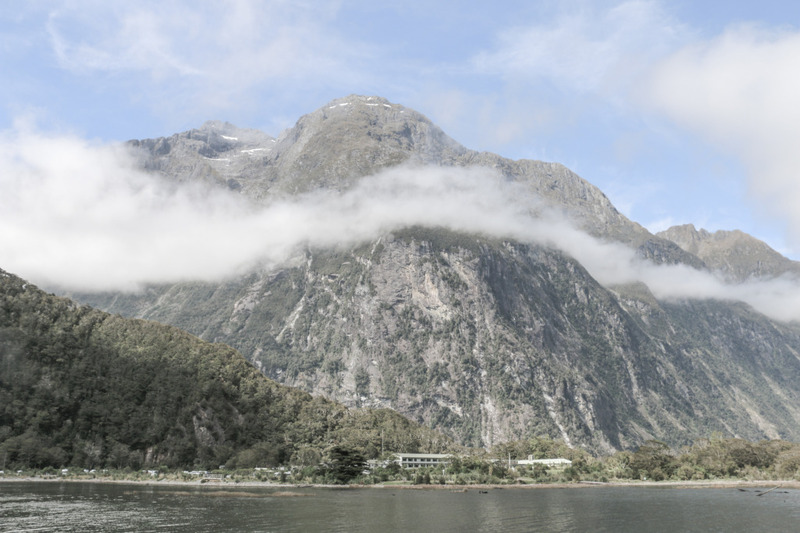 We visited Milford Sound on a day-trip from Te Anau. 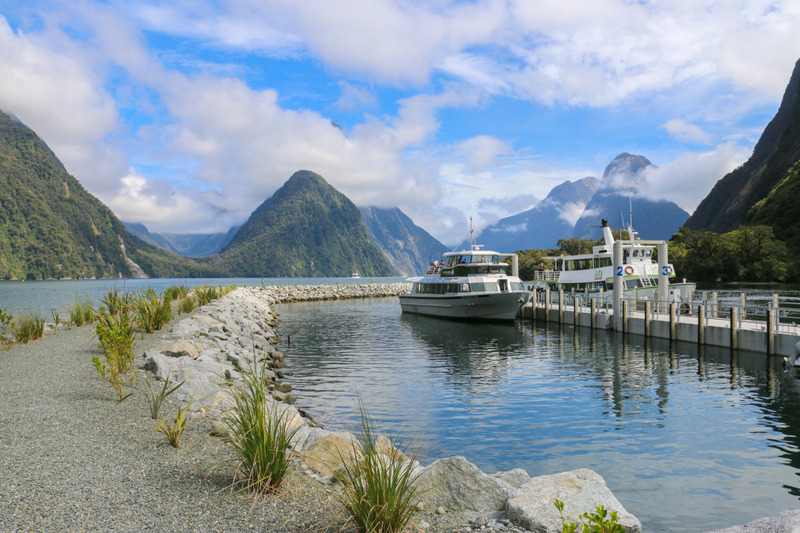 This small town makes the perfect base to explore Fiordland, including Milford Sound but not only, as Doubtful Sound and Dusky Sound can also be reached from here and the nearby town of Manapouri. We did this on our own as we were on a road trip in New Zealand, but there are tours available from several places, such as Queenstown, which is probably the most popular one. 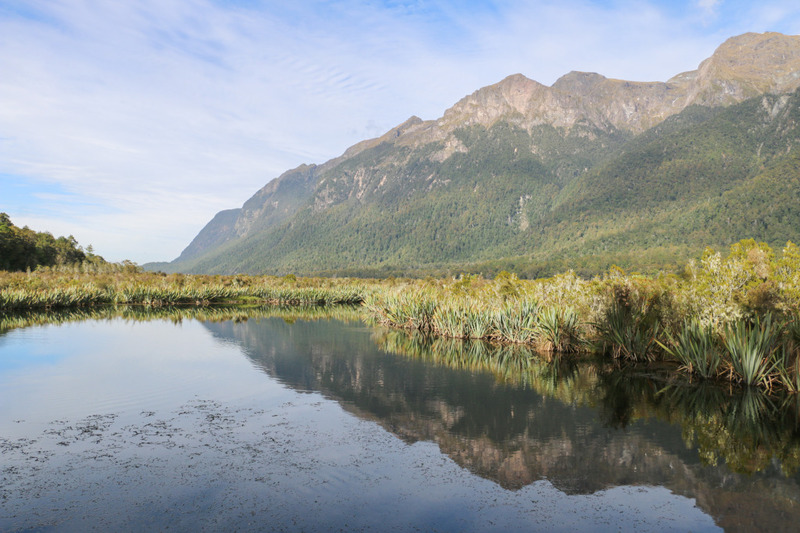 From Te Anau it is close to a two-hour journey on highway 94. 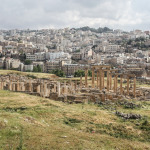 It probably took us 5 or 6h total, return trip, with the stops we made along the way. This is only achievable if you are on your own vehicle though, as all or most of the tours won’t be stopping. 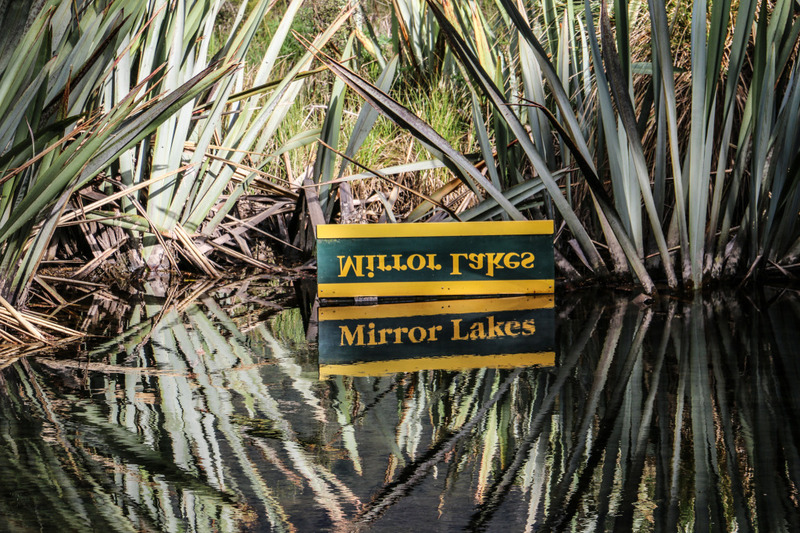 First stop along the way was Mirror Lake. You guessed, it mirrors. We stopped at Hollyford Valley on our way back. We had to stop, just look at the landscape! Close to Homer tunnel we saw some Kea, a New Zealand bird. Unfortunately, no pictures! Our cruise started at 11.45 am, thus giving us time to calmly get to Milford Sound in the morning. Once there it took around 4 hours and started with a delicious lunch. The cruise route follows the fjord until it reaches open sea and then back. The boat goes slower at specific spots so people can enjoy the views and try to see some wildlife. 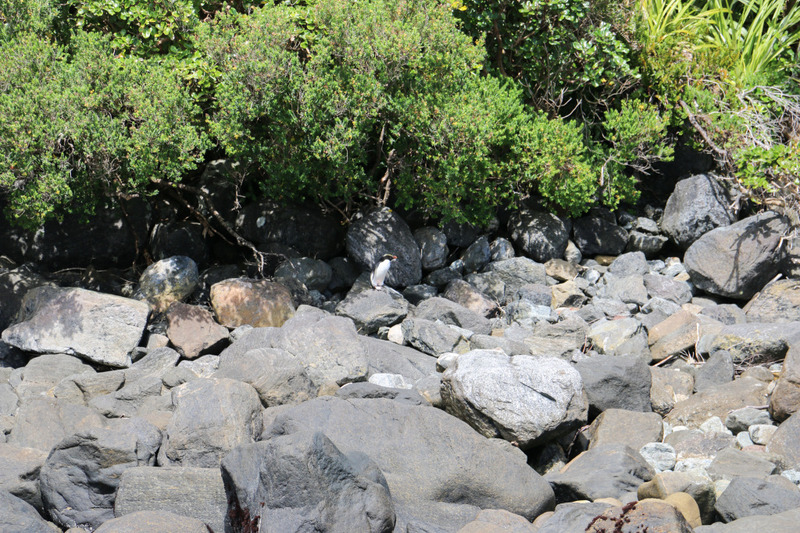 We managed to see a couple of penguins, many sleeping seals and dolphins that followed us for a while. Not to mention the waterfalls from the top of the cliffs! We got closer to one and were brave enough to stay outdoors taking the spray. Our only real stop was at the Milford discovery center & underwater observatory. It’s a floating platform nested in Harrison Cove, with a 10 m deep underwater observatory. 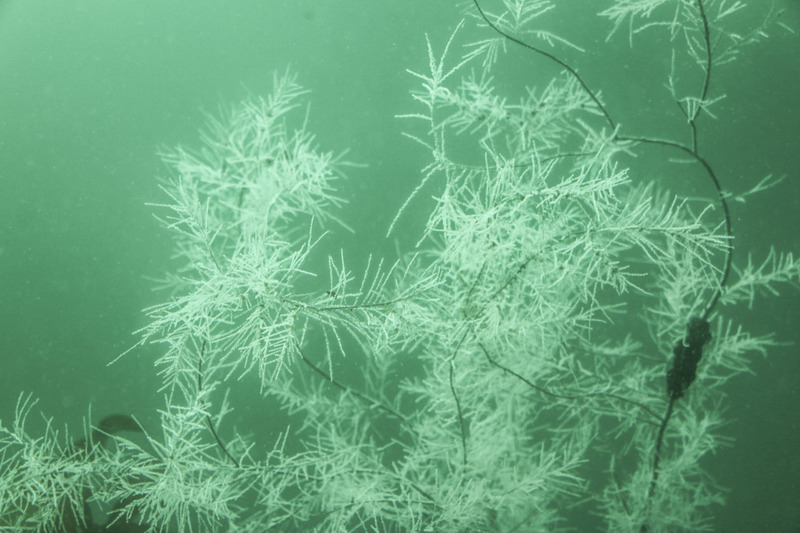 It’s amazing the amount of fish and even black coral that can be seen in there. Stairs take us all the way down from the water level. Our boat then left and we stayed for some kayaking. We have some pretty cool videos of our kayaking adventure that will be available soon! This lasted around an hour and another boat came to pick the remaining group. 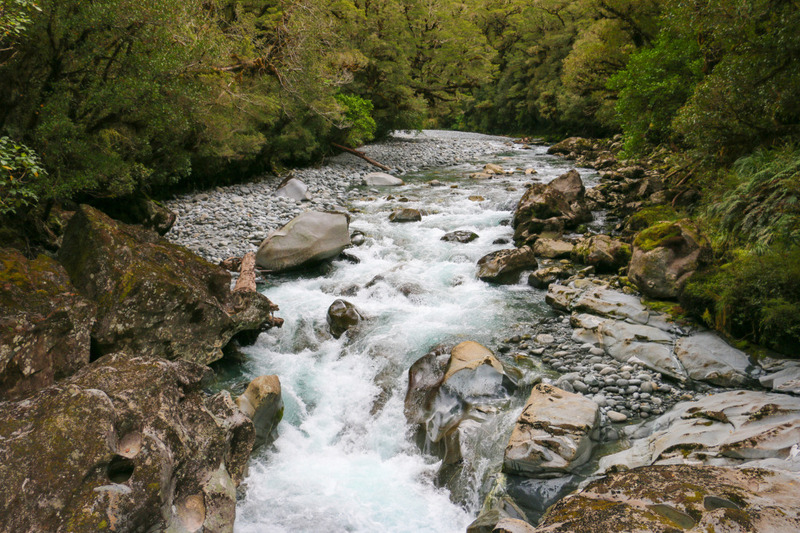 We stopped at a couple more places on our way back to Te Anau, like the chasm. 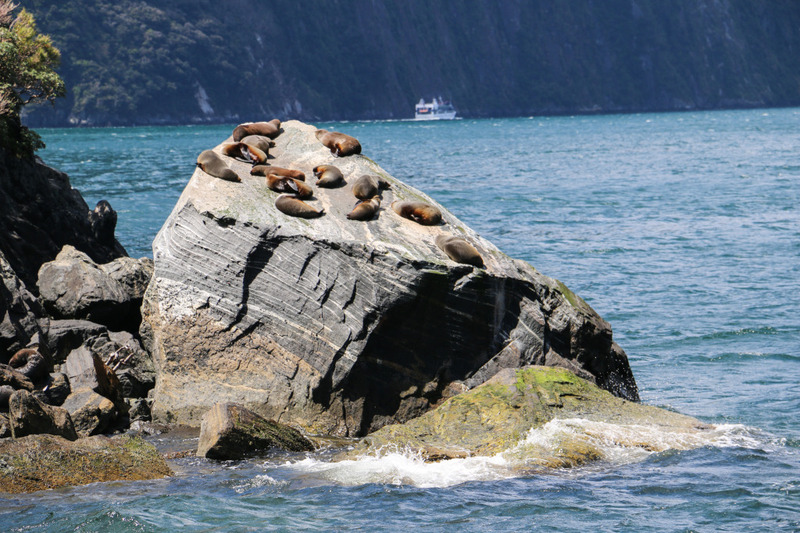 This was our long day trip to Milford Sound. Overall we were very pleased with it. Totally recommended if you are in this part of New Zealand. Mind it’s a bit touristy and we were there in November, so the crows were still relatively low in numbers. Milford Sound has one the highest average rainfalls in New Zealand, but we had a brilliant sunny day! 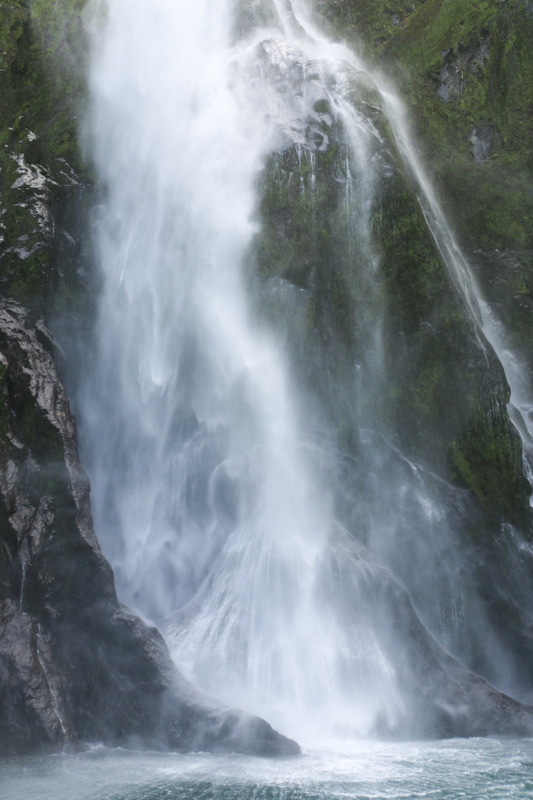 Have you been to Milford Sound? Tell us about your experience. The company we used to book the cruise: www.southerndiscoveries.co.nz. We payed 179$ (NZD) each. 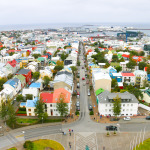 This included the cruise + discovery center & underwater observatory + lunch. Not cheap, but well worth the effort and it pays off if you buy the whole package as we did. There are other companies with cruises for all tastes, from short to longer ones and with or without side activities. Keep in mind that smaller boats will be able to get closer to the wildlife. 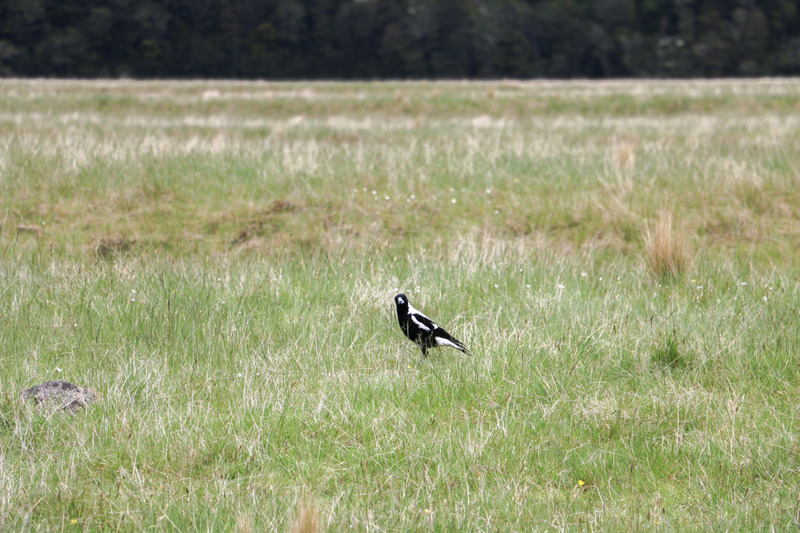 Te Anau has plenty of housing available and is a very pleasant place. More on Te Anau later. 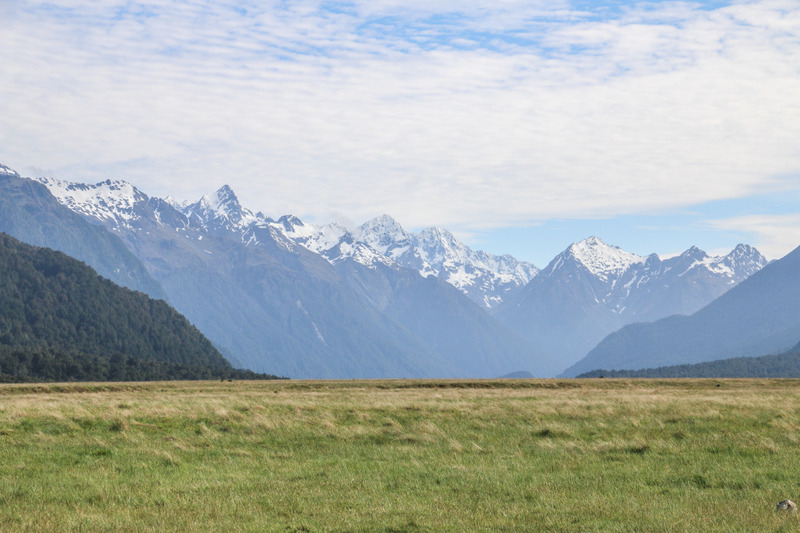 Read more posts about New Zealand here. 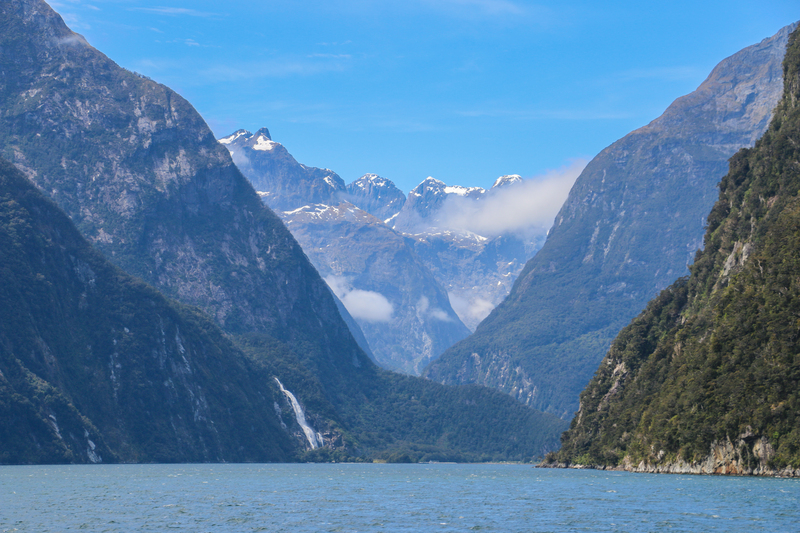 Milford Sound is undoubtedly one of New Zealand’s most beautiful destinations! Great post Hugo and Cristina! I was amazed by the waterfalls that seemed to sprout from almost every cliff in the surrounding landscape. This is the first destination that I have visited that looks just as beautiful in the rain as it does on a sunny day. The misty foothills were stunning, and the rugged cliff faces made for an excellent contrast with the white of the mist. It’s amazing! Kakaying there was an incredible experience! We would go back right now if we could!